The new Toyota Corolla Touring Sports is all set to make its world debut at the 2018 Paris Motor Show next month. It accompanies the latest Corolla hatchback that was first revealed in Geneva a few months ago. 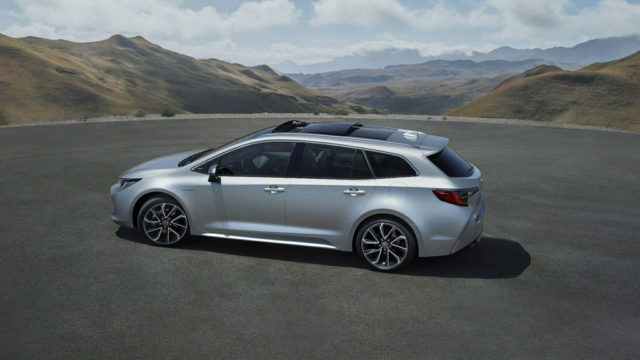 It comes with obvious design changes to have a thorough differentiation between sporting, compact and dynamic hatchback and the versatile Touring Sports. Developed in Europe, the Toyota Corolla Touring Sports is emphasised with practicality and style. It uses a brand new 2.0-litre full hybrid powertrain. 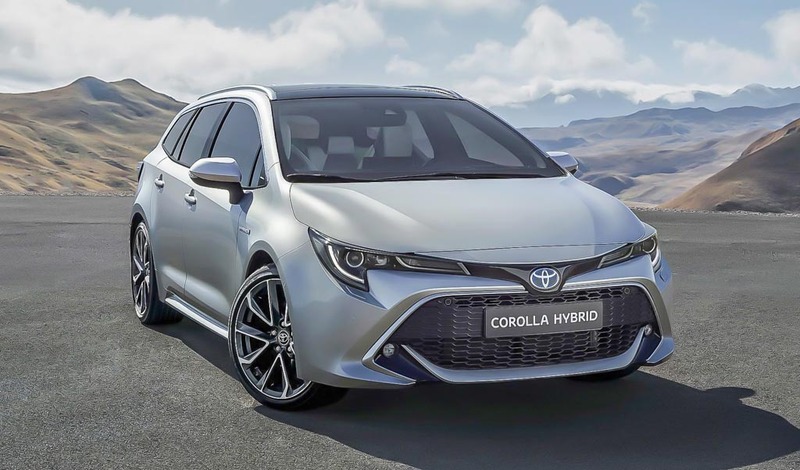 The dual hybrid strategy results in the wagon being offered with a conventional 116 hp 1.2-litre turbo petrol along with a choice of 122 hp 1.8-litre or the 180 hp 2.0-litre hybrid system. The updated 1.8-litre hybrid powertrain has self-charging EV technology and low cost of ownership. The 2.0-litre is unique to the segment as none other conventional Ic-engined units offer the similar level of performance. 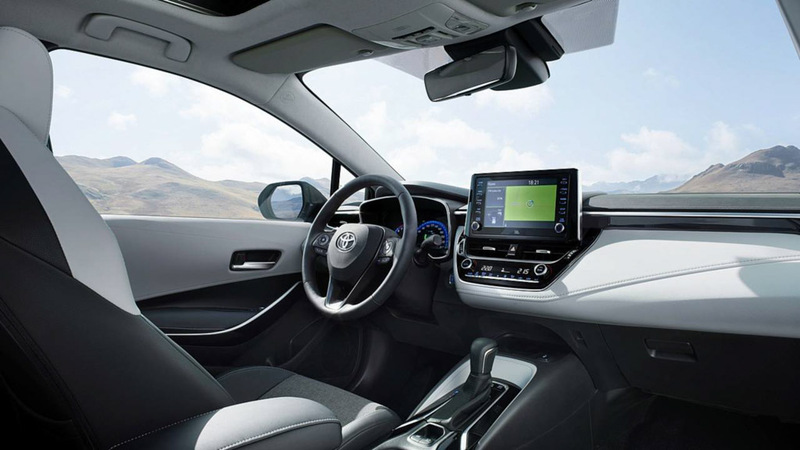 It aids in better ride comfort, stability, handling and driving according to Toyota courtesy of the newly adopted Toyota New Global Architecture (TNGA) GA-C platform. The new Touring Sports comes equipped with MacPherson strut front suspension system, an all-new multilink rear, new shock absorber valve technology and Adaptive Variable Suspension (AVS) for the first time. The improved driving dynamics is due to the low mounting height of the engine, low hip point of the seats and the positioning of the hybrid battery underneath the rear seats ensuring low COG. Some of the key equipment made available are “world first” 3-D Driver’s meter, premium HUD, JBL GreenEdge Premium Sound System, wireless mobile phone charging, Toyota Touch Multimedia System, new textures, colours and trim combinations, front-to-rear seat couple distance of 928 mm for good rear seat passenger space, 598 litre VDA loadspace, etc. 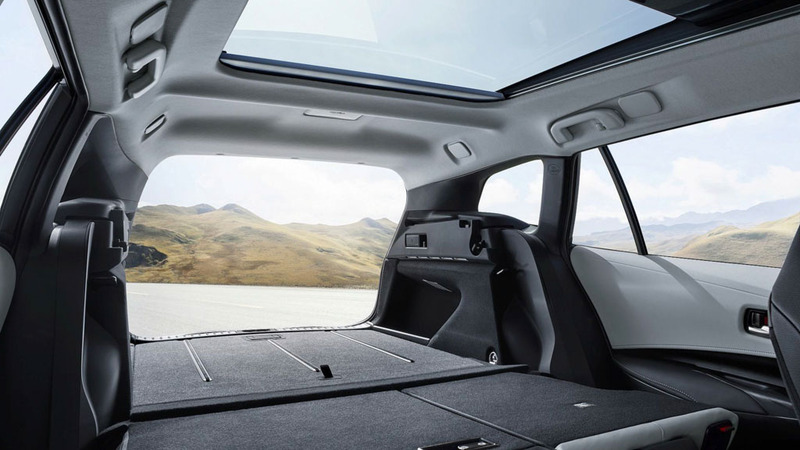 The new Toyota Corolla Touring Sports has a wheelbase measuring at 2,700 mm, allowing for class-leading rear legroom. The wagon has shooting brake style with flared wheel arches, masculine rear shoulders, full-LED lamp clusters, slanted rear windscreen, revised rear bumper styling resembling the frontal “Under Priority Catamaran” design, range of four optional dual-tone colour schemes with a black finish to the roof and roof pillars, and the front lower grille surround.